When the great way is abandoned, there exists benevolent justice. When intelligence increases, there exists great falseness. When relationships lack coherence, there exists respectful kindness. When the country is confused and chaotic, there exist loyal officials. This chapter speaks to the cause and effect result of humanity’s move from its ancestral way of life to agriculture and civilization. Specifically, the hierarchical dynamics of civilization lies at the root cause of line 1’s, When the great way is abandoned. Our species did not evolve to live in the large organized populations that civilized life necessitates. Civilization, and its agrarian root, necessitates a hierarchical social structure to organize masses of people to function in an orderly way, on a massive scale. Conversely, our ancestral hunt and gather way of life required no such hyper-organized social order to function efficiently. Egalitarian ways were sufficient and more importantly, offered the genuine social security that hominids evolved to depend upon. Civilization’s hierarchical dynamics hinder, if not outright oppose, egalitarian ways. ‘When intelligence increases’ is a direct result of civilizations focus on specialization and the role of experts required to run things. The over emphasis on expertise and intelligence skews values towards what works best for a hierarchical system at the expense of naturally evolved egalitarian values. Top down authority supplant the ancient virtue of ‘one for all and all for one’ of our ancestors. ‘When relationships lack coherence’ is a direct result of too many people obliged to share a common identity. A real deep sense of social connection can only occur with people with which you have ongoing personal contact. This happens in families still, at least to some extent, but not to the masses of strangers existing under a common ‘flag’, so to speak. To maintain civil order, civilizations compensate for this social disconnect by establishing rules of polite social conduct, respectful kindness. ‘When the country is confused and chaotic’ is a direct, albeit natural, result of the artificial (i.e. manmade) social structure required for a country to exist. People in this environment who have faith in civilization become the loyal officials that struggle to keep the wheels from falling off civilization’s bus. (1) Existentialism in its currently recognizable form was inspired by the Danish philosopher Søren Kierkegaard and others (Heidegger, Sartre, Nietzsche) in the 1800’s. Existentialism and Buddhism — Points of Linkage briefly describe what existentialism shares with Taoist and Buddhist views, at least superficially. However, Western philosophies all appear to end up promoting the illusion of free will. That is probably understandable given how the West is just coming out of the Christian paradigm. Stoicism, circa 300B.C. may be a little closer to Taoist and Buddhist points of view. See Stoicism in 6 Minutes and 10 Themes of Stoicism. You’ll notice that Stoicism also supports the notion of free will, although perhaps more implied than explicit. The central problem with believing in any form of free will lies in how it separates you from your ‘original self’— that which you share with all life on earth. Judgment and pride depend on a sense of free will and that people have control over their lives. This hinders connection. Conversely, as belief in free will ebbs, a sense of deep connection to nature flows. To put it another way, the ideal of free will places the mind (cognition) in direct opposition to any true sense of oneness with nature. Who has free will when ‘I’ am nature (Tat Tvam Asi)? Who is in control? Who is to blame? It is none sense. Merely realizing what is happening is enough to set your life in the direction you wish it to go. No free will, control or discipline is required. I suspect that survival instincts drive any ‘positive’ movement that occurs. Once you know, you cannot help but act accordingly. The weak link is, as Buddha said, Right Comprehension. ‘Right Comprehension’ means that which actually works. By contrast, ‘wrong’ comprehension would probably be in the realm of ideals, which are projections of what we desire to be so, not what is actually so. Such projections of our personal desires (and fears) easily blind us to what is actually and naturally so. Naturally so: Consider the Chinese word for nature: zì rán (自然). 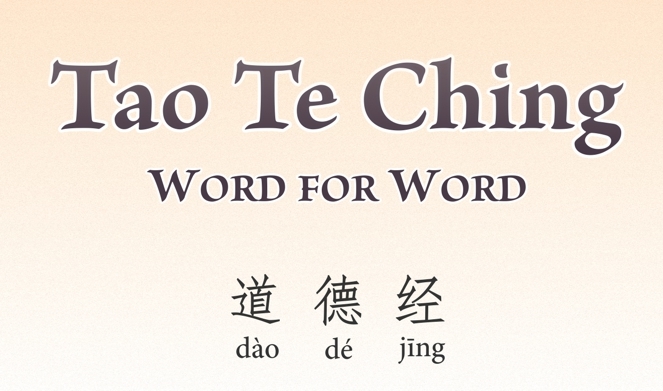 Zì (自) = self; certainly. Rán (然) = correct; so. Accordingly, Nature = self-correct, self-so, certainly-so. In other words, reality is not duality! The magnified sense of duality we perceive results in the disconnection from Nature we feel. Note, it isn’t duality per se. After all, the nervous system’s neurons operate via a form of duality — on vs. off. Our problem lies in the magnification this undergoes by our attachment to names, thoughts and the ideals we generate via our underlying desires and worries (i.e., needs and fears… see Fear & Need Born in Nothing).